Mendelson's Memos: One to represent all? How The Help is being punished for a lack of minority-driven films, rather than its own merits as a movie. One to represent all? How The Help is being punished for a lack of minority-driven films, rather than its own merits as a movie. I'm not going to get into a point-by-point rundown of why I think many of the criticisms being hurled at The Help are just-plain wrong. First of all, Entertainment Weekly's Owen Gleiberman already did just that, so I'll merely link to his piece. Second of all, much of the outcry over The Help comes not from what is in the movie itself, but rather what isn't in the film, and (more importantly) what isn't in the marketplace. It is a clear case of film critics (and social commentators) reviewing not the movie itself, but everything outside the film. As a stand-alone film, it works as a solid, if not awe-inspiring character piece involving a number of women (black and white) who exist in an employer/employee relationship during the middle of the 1960s Civil Rights Movement. If the picture were one of a dozen films being released by a major studio that centered around African-America actors, its flaws would be less of an issue, merely reasons for calling the film good rather than great. There may be a dearth of African-American-centered major studio releases. But it is silly to condemn the one 'shining' example and punish it for the non-existence of other pictures like it. Much of the problem comes from critics who want to pretend they are political pundits and judge a film as if said film is supposed to represent an all-encompassing picture in regards to its subject matter. Precious was just about one single young woman and the struggles in her life (her problems would be little different if she were a poor white teenager born with equally awful parents). Closer was a character study about four messed-up people in some form of romantic/sexual relationships, it was not an all-inclusive and generic ‘this is how men and women operate always!’ fable. I rather enjoy Crash as a series of individual character studies that delves into race relations as opposed to a sweeping generalization on race relations. Twilight is about a single young woman and her choices in regards to the men in her life, she does not represent every young teenage girl ever. And, as such, The Help is NOT an all-encompassing story about the Civil Rights Movement. It does not pretend to represent every single black woman who suffered under Jim Crow. It does not pretend to claim that African-Americans were only able to take their institutionalized freedoms because of plucky white women of the era. There is of course a trend of African-American stories that are told from the point of view of the White Outsider Who Must Learn A Lesson, but I'd argue that this is not one of them. The Help is a true ensemble piece, with meaty arcs for Viola Davis, Emma Stone, Octavia Spencer, and Jessica Chastain, among others. It is narrated by Viola Davis, and it is the very-real plight of the film's 'help' (represented mostly by Davis and Spencer) that makes the film work as an emotional heavyweight. Sure, you've got Emma Stone as a young woman who chooses to write about the mistreatment of African-American maids, but she is merely a narrative device. Aside from a climactic scene where she learns just why the maid who raised her was arbitrarily fired (a devastating cameo from Cicily Tyson), the movie isn't really about her in any emotional sense. 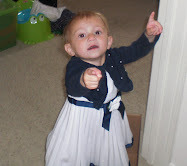 She may be the storyteller, but it is not her story. In fact, once she sets up the primary narrative in the first act, she pretty much disappears for much of the middle of the story, leaving the film in the hands of Viola Davis and Octavia Spencer, with assists by Bryce Dallas-Howard and Jessica Chaistain. Stone does have an eye-rolling romantic subplot, but even that is only present so she can have something taken away by the end of the film (the implication that she is an outsider in her own community, which is why she is willing to buck the status quo). From the end of the first act onward, it is absolutely a film about Davis and Spencer's respective characters. More importantly, it is not the responsibility of The Help to be the be-all, end-all big-studio movie involving the Civil Rights Movement. It does not concern itself with those who actively fought for freedom because that is not the story being told. It is a story about those who merely endured during a time of social injustice, and that story is every bit as relevant as the struggles of The Freedom Riders or the indiviudual portraits of iconic characters such as Medgar Evers or Rosa Parks. The film, for example, does not contain details of the sexual abuse that certain maids suffered at the hands of their white employers because that apparently did not occur in the households that are presented in this specific story. It does not detail the activist responses to the assassination of Medgar Evers because the characters in question did not get active after said murder. 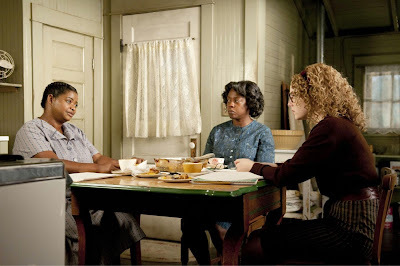 The most thoughtful and audience-challenging aspect of The Help is indeed its presentation of the white characters. Bryce Dallas-Howard's villain may be a cruel and willfully hurtful human being (to everyone she encounters, it should be noted), but she does not consider herself a racist. She does not burn crosses, she does not physically harm those under her employ, and she considers herself a progressive who merely accepts one portion of her life (the subverviant relationship she has over her maids) as the status quo if not moral necessity. Rather than present a bunch of mustache-twirling villains, The Help points out that even those who thought themselves politically and socially progressive were accepting of the casual and institutional racism of their society. To paraphrase The Naked City, there are millions of stories about the Jim Crow era, and The Help is merely one of them. Its focus on those who merely existed in such times is indeed relevant as most of those who live during 'bad times' do just that. How many of my readers actually attended an Iraq War protest? How many among us would risk arrest by actively protesting a political convention? How many of us actively engage in the political process in any way other than reading or writing like-minded commentary, signing petitions, occasionally cutting checks, and voting? The Help is not a story about those on the frontlines, and it is not a story about a great social victory that was won. It is a character study, full of small victories and larger defeats (note that the Howard's character goes generally unpunished, while Davis suffers a final, arbitrary defeat). It is a sad, depressing story about people who did not rise about their times or their lot in life, but merely lived with as much dignity and humanity as their situation would allow. Anyone who calls it 'happy' or 'life-affirming' or any of that silliness just wasn't paying attention. It may not show every horrible thing that occured during the 1960s, but the film absolutely captures the heavy weight of living under such conditions. But in the end, all of this would be irrelevant if there were more films centered around minority characters. If The Help were one of several big-studio films that starred African Americans. But, alas, it is one of a few thus far (along with Jumping the Broom and Madea's Big Happy Family), and it is the only one given a high-profile release by a major studio. Thus, like all-too many high-profile films involving minority and/or female characters at its center, it is being scrutinized in a fashion that implies that it must represent the respective minority or gender film experience all by-itself. It is also being held to task on moral grounds on which we would never hold most other (white male-centered) films on. The characters are not representing every African American woman who lived in the 1960s. If the film fails in a certain way to represent the African American experience in the time period in question, then the solution is to demand more movies about that period that deal with what this film does not, not to trash the one film that does attempt to tell such a story on grounds unrelated to whether it works as a movie. The Help is merely a single movie that tells a story about a specific group of people who lived during the 1960s Jim Crow era. Its narrative is not all-encompassing and its characters are not placeholding representations of everyone who lived during that time. It is a standalone movie, a character study that cannot and should not be held up as the defining movie about its time. It is both unfair to the movie and frankly unfair to those who actually suffered (or prospered) under Jim Crow. The solution is not to accuse The Help of being something it is not and then tearing it down on the grounds that it does not exhaustively meet the standards of what you wish it to be. The solution is to point out its success as a win for big-studio dramas and big-studio pictures starring African American women and use that success as a reason for Hollywood to make more dramas with African Americans at the center (Tyler Perry can't do it alone). The solution is to vigorously counterattack when a pundit denigrates the real artstic and commercial achievements of Tyler Perry by merely referring to him as Madea or 'the guy in the dress'. The solution is also to point out when movies like Jumping the Broom (which, to be fair, wasn't very good), nearly matches the domestic gross of the far-more high-profile and expensive romantic comedy Something Borrowed ($37 million versus $39 million) and ask why Paula Patton doesn't get the same scripts or offers as Kate Hudson. The Help is just a decent, well-acted period drama that is playing well with audiences because (among other reasons) big-studio dramas are an endangered species during the summer season. It offers no great insights and offers no solutions to the racial problems of yesterday or today. It is merely a character piece that exists to entertain and educate those otherwise uninformed about the era. It is not the end of anyone's education about the Civil Rights Era, but it certainly works as a starting point. As pundits, critics, or social commentators, it is our job to point out its flaws, both as a movie and as history. But its flaws as history do not count as an automatic disqualification for the movie as a whole. Those flaws merely serve as jumping off points for further education and discussion about how far we have and haven't come as a racial melting pot. Exactly! I have no idea why people don't get this. I completely agree with you assessment. It's a good movie that truly strikes a cord with a female audience. For that reason, it must be held to this ridiculous standard. That EW article as someone who doesn't like secrets and lies! I thought I was the only one! Liked your article Scott as always. I've read your defence before other peoples attacks as it's only fair as they're quite vocal. It does not pretend to represent every single black woman who suffered under Jim Crow. It does not portend to claim that African-Americans were only able to take their institutionalized freedoms because of plucky white women of the era. Got it right the first time. "Pretend", not "portend." .... and she considers herself a progressive who merely accepts one portion of her life (the subverviant relationship she has over her maids) as the status quo if not moral nessessity. Her relationship to her servants would be "dominant." And "necessity" is misspelled. You write well about things I'm interested in.